The Wonder of the World." 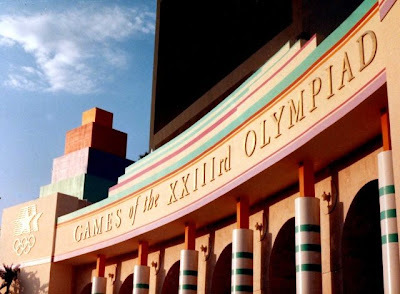 Twenty-five years ago today the eyes of the world were on Los Angeles and the Opening Ceremonies at the Memorial Coliseum when our city played host to the 23rd Olympic Games. 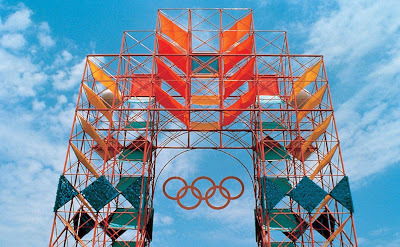 Last summer, during the Olympics in Beijing, I posted some reflections, as well as the unlikely story how Los Angeles came to host the 1984 Olympics, and in many ways saved the modern Olympic movement. As I've shared before, it was a wonderful time to be in Los Angeles. Simply an amazing two weeks. Unfortunately, the photos I took - and others gave me - are long gone (stolen, actually). I appreciate the few images I was able to surface on http://www.images.google.com. photo credit: forums.tvland.comReflecting on the past, even what is technically the recent past, I'm reminded of the Paul's words in in the New Testament: "For everything that was written in the past was written to teach us." (Romans 15:4) The context of this passage refers to the Scriptures, but the principle extends to history in general. Think back to that High School or College class: "what is the purpose of history?" 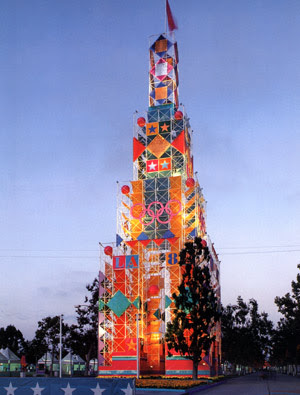 I believe the primary purpose is to give context for the present and insight into the future. 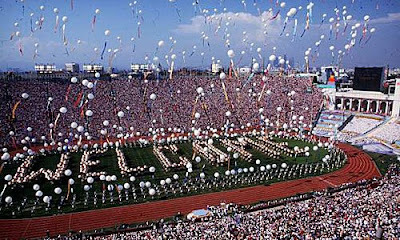 So, I ask the question: what can Los Angeles learn from our experience twenty-five years ago?